Staten Island ferry entrance in Lower Manhattan – NYC. Residents of Staten Island curious about holistic well being may now access medical marijuana evaluations online through Indica MD. Indica MD’s expansive online reach includes everyone from the edges of Mariners Harbor to the apartments of Tottenville and beyond. Indica MD streamlined the process for Staten Islanders to obtain a medicinal marijuana certification by taking it entirely online. Even better, their service is mobile friendly! Indica MD is HIPAA compliant and encrypts its information.Patients don’t need to worry about the safety and security of their information while using Indica MD’s online portal. It’s completely safe and secure. With unparalleled levels of convenience and compassion, India MD is here to stay and to serve, Staten Island. 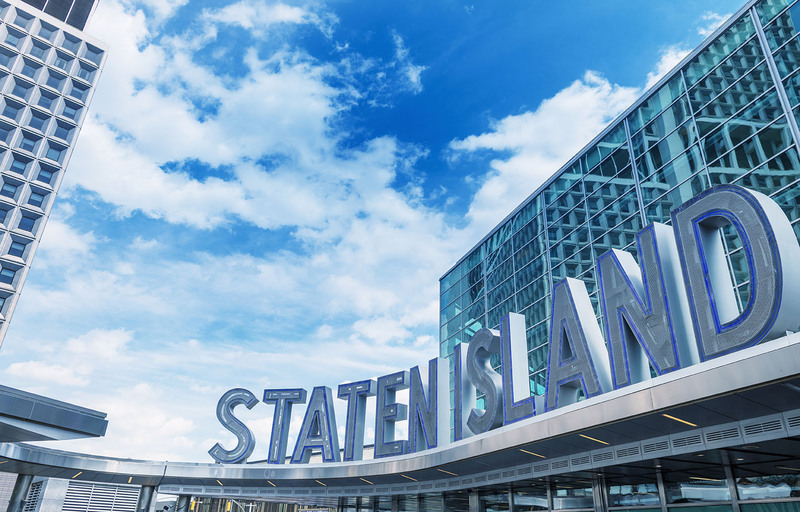 Inhabitants of Staten Island looking to medicinal cannabis for help in overcoming chronic ailments need to complete a handful of tasks before legally accessing medical marijuana dispensaries. The first of these steps is to register online with Indica MD where the patient will be asked to fill out a health questionnaire before being matched up with a cannabis doctor for an online consultation. Indica MD encourages its patients to have all relevant medical records on hand to expedite the process as well. Once consultation is complete and the doctor has cleared the patient for medical marijuana usage, the doctor will assign the patient with a medical marijuana certification. Staten Islanders are then required by law to register online with the New York Medical Marijuana Program for a Registry ID card. Once the Registry ID card arrives, patients can legally access dispensaries statewide. Medical marijuana legislation in Staten Island only allows for people suffering from chronic pain-inducing and terminal issues to use medicinal marijuana. To understand more about which conditions qualify, visit New York’s Medical Marijuana Program online to find out more. Medicinal cannabis is only allowed in liquid and oil form per New York law, and cannabis can only be consumed via vaporizers, inhalers, or in capsule form. New York law prohibits patients from smoking and eating medical cannabis. Also, doctors are required to include a suggested brand of medical cannabis as well as its method of consumption on their medical marijuana certifications. Indica MD proudly serves the entirety of Staten Island, from Arthur Kill all the way to Newark Bay. Every neighborhood along Hylan Boulevard, be it Prince’s Bay, Bay Terrace, or even New Dorp, Indica MD is easily accessible with the click of a button or the press of a finger. Arden Heights, Heartland Village, and New Springville — you’re included too! Just be sure to enjoy Freshkills Park when it’s completed in 2035 for the rest of us who’d love to be there. Even New Yorkers off in Fort Wadsworth out by Arrochar and across the water from Fort Hamilton are welcome to make use of the excellent services that Indica MD has to offer. Staten Island will be home to the largest park ever constructed in New York city since the 1800s: Freshkills Park. Built above a landfill reclamation project, it promises to invite people from all over for a plethora of fun activities. But in the meantime, visitors can hang out with the animals at the Staten Island Zoo or experience the gorgeous gardens and scenic vistas at the Snug Harbor Cultural Center. Locals recommend Fort Wadsworth for views of the Manhattan skyline and the Franklin D. Roosevelt Boardwalk and Beach to escape the concrete jungle. A couple of other gems locals love include the New York Chinese Scholar’s Garden on Richmond Terrace for quiet relaxation as well as High Rock Park for calm hiking trails.